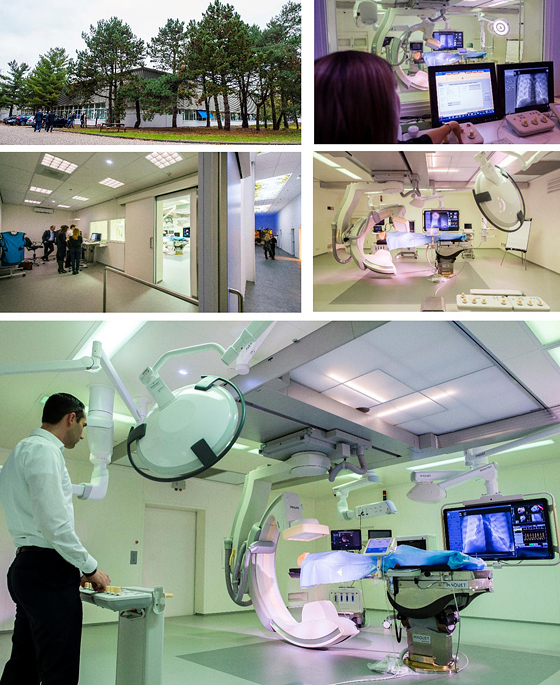 Best, the Netherlands - Royal Philips (NYSE: PHG, AEX: PHIA) today announced that it has enhanced its strength in image-guided therapy innovation with the establishment of a new in-house simulation facility for early and continuous product design validation and end-user testing. The new facility is located at Philips’ existing R&D and manufacturing facility in Best, the Netherlands. Royal Philips (NYSE: PHG, AEX: PHIA) is a diversified health and well-being company, focused on improving people’s lives through meaningful innovation in the areas of Healthcare, Consumer Lifestyle and Lighting. Headquartered in the Netherlands, Philips posted 2014 sales of EUR 21.4 billion and employs approximately 106,000 employees with sales and services in more than 100 countries. The company is a leader in cardiac care, acute care and home healthcare, energy efficient lighting solutions and new lighting applications, as well as male shaving and grooming and oral healthcare.